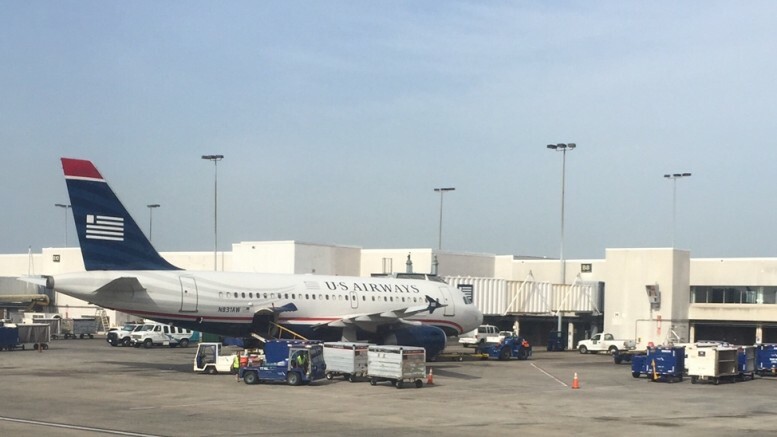 How appropriate that today, the day the last official US Airways flight will take place, this particular photo popped up as my ‘Memory’ on Facebook. 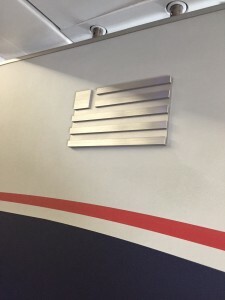 I am sure that if I were to scan my Instagram, my Twitter account, or my phone even today, I would find a small treasure of US Airways related photos. It is no secret to those who know me, fly with me, and attend frequent flyer functions, that I have always been a strong supporter of US Air. I have loved the airline since I began flying it in the mid 80’s, joining its frequent flyer program in 1986, I believe. I flew them sporadically at first and it was a few years before I earned my first status – Silver! I was quite happy with my little status. These were also the days when I could actually show up at the airport, ask for an upgrade if available at my first check in point, and pretty much have about a 50-50 chance of getting it. 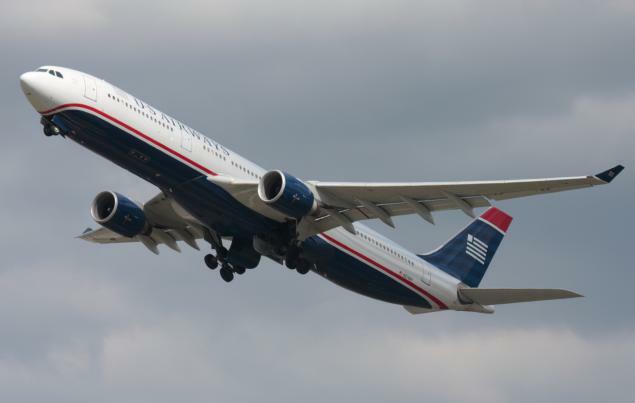 As US Airways grew with its acquisition of PSA in 1988 and Piedmont in 1989, I began to choose US Air as my airline of choice. It seemed to always have much more competitive fares out of my local airports – AGS or CAE. And after a few more years of flying, I earned Gold. I start receiving a few upgrades to First Class on domestic flights. I’m even happier with this status! 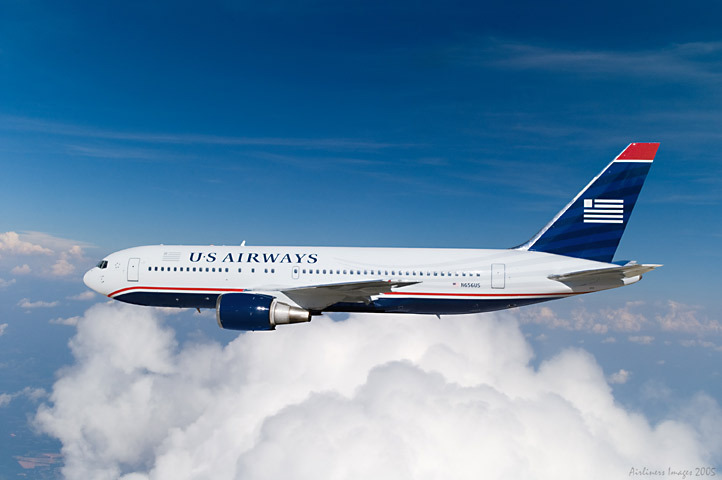 In 1997, the airline formerly adopts its new name – US Airways. This little airline was doing great! It revamped its fleet with the purchase of over 400 Airbus A320 with plans to add the Airbus A319, A320 and A330-300 aircraft. The next few years are busy for this little airline. Codeshare agreements (which Allegheny and Piedmont pioneered) are established with United Airlines and US Airways becomes a member of Star Alliance. 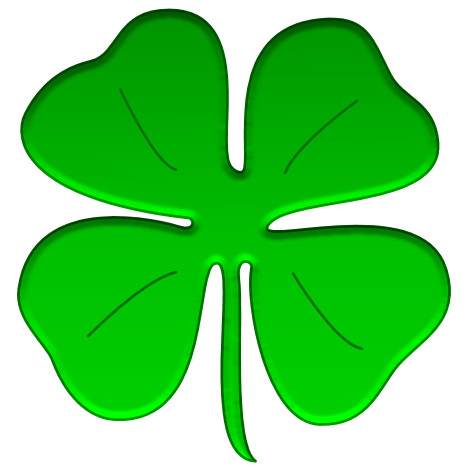 However,spending began to catch up and the company after filed for reorganization in 2004. Shortly after that, a merger with America West was announced and Doug Parker was given the position of CEO. Parker made some draconian changes to the service – frequent flyers are leaving in droves and criticism of the airline balloons. I am oblivious. By this time, I am pretty well hub/home airport captive and am flying US Airways exclusively. As long as I can upgrade my one flight a year to England with miles (15000 at the time with no copay), I’m still happy. Realizing that becoming ‘too’ stingy low of a low cost carrier, water became free again, a few new amenities were added, and promotions for obtaining miles were introduced. Efforts were made to award the employees for on-time performance and baggage handling. The little airline was turning itself around again. In 2010, they announced the Hop, Skip and Jump to a Higher Level of Preferred“. Whoa! This sounded like fun! And it was. Gold at the time, I figured out that by flying a few flights ‘to nowhere’- one day turnarounds to small airports such as Baton Rouge and Melbourne (Florida) – adding a short two day vacation to Puerta Vallarta – coupled with flights I already had booked, I could actually earn Chairman Preferred status. So I did. And I was incedibly happy! The number one thing I loved as Chairmans was not the almost 100% upgrade percentage. Nope. The thing I loved the most was the Chairmans line manned by the lovely ladies in Winston Salem. I knew and recognized so many of them by voice. Not only would they help me in the mundane booking of both revenue and award flights as well as handling upgrades, sometimes they just worked Magic! Their soothing Southern accented voices would say “Let me see what I can do.” And do, they did. Seats would appear where before there were none. In times of emergency or family crisis, conversations would often be understanding and empathetic. And the Flight Attendants, pilots and other employees! Just the best! From gate agent to baggage handlers, some of the most friendly and professional in the industry. And obviously so happy to be working for US Airways. Minus the occasional odd egg who, like some teachers, really should have chosen another profession, I looked forward to each and every flights because of the crews. 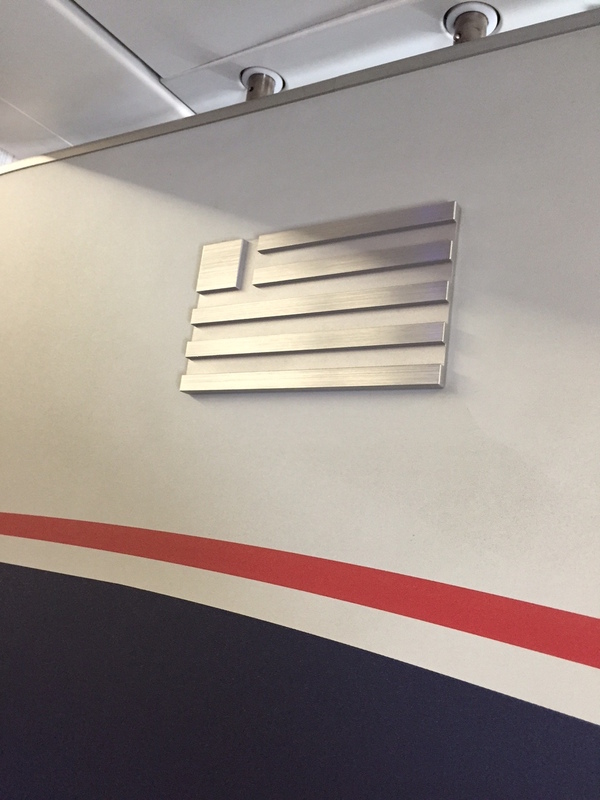 I tried to always take the time to thank them all at the end of a flight – FA’s, pilot, and even the gate agent at the top of the jetway. I thanked them for safely delivering me to my destination. For making sure that my flight was as comfortable and pleasant as it could be. For taking the time to see me as a person – and not just another body in Seat 2A. 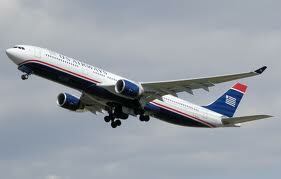 As US Airways Flight 1939 makes its final touchdown in Philadelphia, the US Airways as I know it will cease to be. The little airline that I love has now grown into the largest airline in the world – American Airlines. But my not continuing to be a US Airways fan? Never. And if anyone runs across one of these, I sure would love to have one! 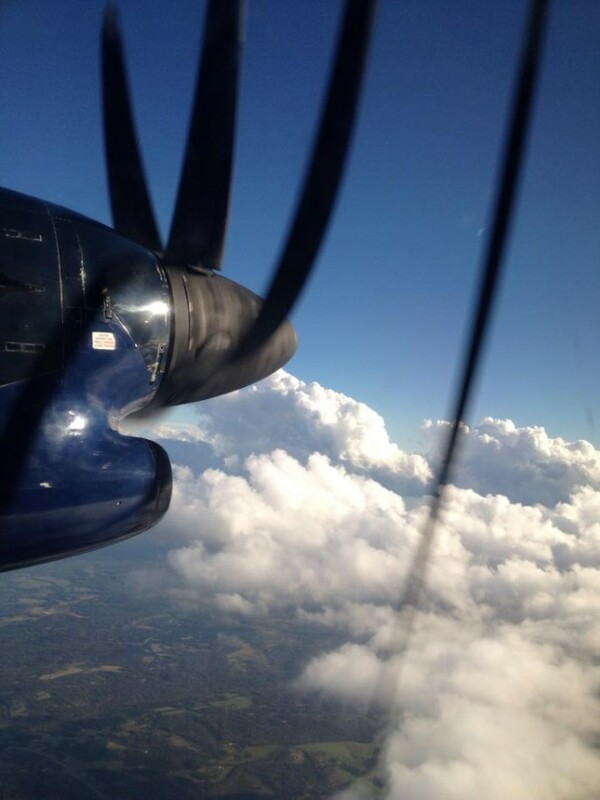 2 Comments on "Final Approach – My 28 Years with US Airways"
Great article! We are currently on the lookout for one of those flags as well.